Microsoft today released a dozen security updates for computers running supported versions of its Windows operating system. Five of the patches fix flaws that could get PCs compromised with little to no help from users, and five of the bulletins have vulnerabilities that were publicly disclosed before today (including one that reportedly has been detected in exploits in the wild). Separately, Adobe is pushing a security update for its Shockwave Player – a browser plugin that I’ve long urged readers to junk. According to security firm Shavlik, the patches that address flaws which have already been publicly disclosed include a large Internet Explorer (IE) update that corrects 17 flaws and a fix for Microsoft Edge, Redmond’s flagship replacement browser for IE; both address this bug, among others. 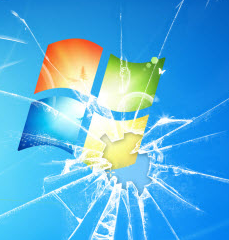 A critical fix for a Windows graphics component addresses flaws that previously showed up in two public disclosures, one of which Shavlik says is currently being exploited in the wild (CVE-2015-2546). The 100th patch that Microsoft has issued so far this year — a salve for Windows Media Player – fixes two different vulnerabilities that were publicly disclosed before today (CVE-2015-2509 and CVE-2015-2504). In other important patch news today, Adobe has released a security update for its Shockwave Player browser plugin. If you need this program, then update it; the latest version is v. 12.2.0.162. But in my experience, most users don’t need it and are better off without it. For more on what I say that, see Why You Should Ditch Adobe Shockwave. Not sure whether your computer has Shockwave installed? If you visit this link and see a short animation, it should tell you which version of Shockwave you have installed. If it prompts you to download Shockwave (or in the case of Google Chrome for some reason just automatically downloads the installer), then you don’t have Shockwave installed. To remove Shockwave, grab Adobe’s uninstall tool here. Mozilla Firefox users should note that the presence of the “Shockwave Flash” plugin listed in the Firefox Add-ons section denotes an installation of Adobe Flash Player plugin — not Adobe Shockwave Player.